Music is a great vehicle for parenting. It can help your child sleep and relax. Enjoy this guest post, written by Melissa Perry Moraja. I have come across her wonderful children’s books and reflections on children, music and creativity. I have asked her to share her experiences with using music to help her children as well as one of her books. Throughout my entire life, I’ve used music as a tool to stay motivated, to relax, and to improve my concentration. And when I was blessed with four active children, I leveraged what I knew; especially during bedtime. When my three oldest children were little, about thirty minutes before it was time for them to take a nap, I would turn on some easy-listening or classical music such as Frank Sinatra, Beethoven, and Harry Conick Jr. This would help their little minds and bodies wind down and relax enough so they were able—and more willing—to go to bed. Once I laid their little heads down on their pillows, I would continue playing the music in their bedrooms for an additional thirty minutes. I found this to help them fall asleep quicker and more peacefully. Today, all four of my children go right to bed and fall asleep within seconds. Their minds know how to relax. But that’s only one benefit of classical music. It’s also well known that students test better when they play classical music in the background while studying. Classical music has a slower calmer vibe. It’s the music that stimulates the subconscious mind, allowing information to easily enter it. And as a parent, it’s a great tool to use to help your child not only relax, but also retain information. As for other types of music, like hip hop and easy-listening, they too can be used to help in making your parenting life more manageable. Below are some ways to use various music tones. * Classical Music (Beethoven, Mozart) – Like I mentioned above, this type of music works wonders for helping your child relax. It also has been found to help your child concentrate and retain information while studying. * New Age (Enya, Cirque Du Soleil) – New age music stimulates creativity such as painting and writing. It opens the mind to a world of imagination. * Easy listening music (Eagles, Frank Sinatra, Adele)–play at dinner to stimulate conversation, but not energize. It has a fun, light beat that allows kids and parents to sit and enjoy their conversation. * Hip hop, dance and disco music—This type of music motivates. If you are begging your child to clean their room or do their chores, instead turn on some fun, dance music and allow everyone to boogie down as they clean-up. * Heavy metal music—I recommend only playing this type of music when you want your kids to just be completely, physically silly. This type of music has been found to cause aggressive behavior. If you have a high energy child, you may find that he or she will get a little out of control when you play this type of music. Red as an apple, blue as the sky, jump up and down reaching high high high. Green as the grass, yellow as the sun, get ready, get set, run run run. Orange as a carrot, purple as a plum, turn around in circles shouting HO HUM HUM! Melissa is a mom entrepreneur, multi-faceted business woman, and creative producer, authoring and illustrating seven children’s books and three self-help books. She has written articles (Color and Its Affect), been interviewed on television (discussing How to Raise Creative Children), spoken in front of hundreds of people (Southern Women’s Show), and successfully achieved two degrees undergraduate degree in finance and graduate degree in marketing).Melissa believes in family and raising children in a creative, loving, and inspirational environment. She herself has four young children (9 year old boy, 8 year old boy/girl twins, and a one year old) that have truly helped her continue seeing the world through a child’s eyes—pure creative imagination! In 2007, Melissa made a decision to leave her six-salary career at IBM to become a full-time mom and pursue her passion as an author, speaker, and consultant. Win one of Melissa’s books at her Ebook GiveawayDon’s miss any parenting tips! Excellent! Love love love this post. Any outstanding curriculum has to have music as a basis. Whether it's playing an instrument or listening and inturpreting. I think music opens up a whole new world of thinking, feeling and learning. I firmly believe that. I have experienced that. Thanks so much for sharing and for linking up with us at the Mommy Monday Blog Hop! I hope you join us next week. I am pining this post to my homeschool link up pinterest board. I wish I could spread your thoughts on music education to all administrators and policy makers! Thank you for your comments as well as for pining the guest post! I always felt that a nice massage was the best way for me to Relax. Even doing it at home is a great option. Just buy some Nuru massage gel and your set. Always nice after a long work week. Thanks for the post. What a great read — not ennough people realize the efect music can have on kids. Please link this up at my August Choral music Love Linkup! Thank you so much for your comment and invitation to link up the bog post! I love these suggestions! We use music to structure so much of our homeschool day, but I have focused more on the words of the music than the type of music. You've encouraged me to look at the types of music I am playing and when I'm playing them. Thank you, and thanks for sharing at Booknificent Thursday! This is really interesting! I've heard that classical music can aid concentration while studying, but it would never have occurred to me to use it to soothe a younger child before a nap. We love to play dance music to boost our energy while doing chores (I do it when I'm cleaning by myself, too!). Katie and Tina, yes music can be very powerful. It can help young children with literacy development (while focusing on the words) but the type of music also relaxus. Isn't it funny that these days we use music so much in our daily lives to help us "get going" but we are not thinking so much of music to relax us. I think it is becasue our society is so fast-paced that we are almost making that problem bigger through the way we live. Outstanding post. Music is just so powerful in how it can affect our moods and influence our subconscious mind. I love how you went through various genres of music and explained the best situation/s for each of them. Melissa, you sound like an incredibly intelligent, energetic and creative woman and an amazing mother. Thanks for the post. I recognized Melissa's book as your picture on the Monday blog hop so hopped on over. I've read one of her adult books, but would like to order her children's books for my daughters. Christmas gifts probably. Thank you, Lizzy for your comment! 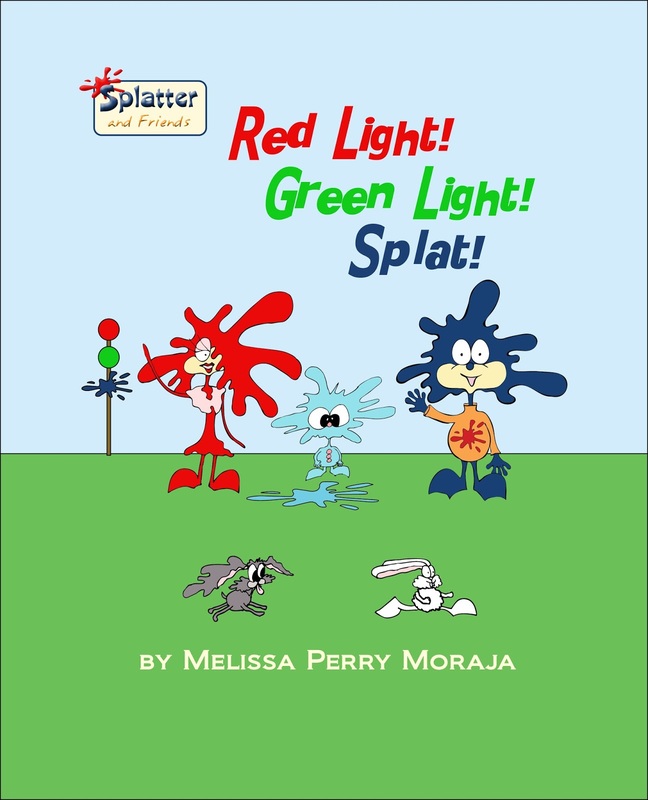 Angela, I am glad that the post made you think about checking Melissa's children's books! Hope your daughters enjoy them!